The Martha O’Bryan Center has served the poorest people in the city of Nashville for the last 118 years. Throughout these years, we have worked diligently to combat a variety of issues in our community centered around food, exercise, and health. Through our partnership with the CACFP we serve approximately 50,000 healthy meals per year to children of the community. Through our partnership with Fizeek, we provide 60 minutes per week of fitness and health education to our kids. 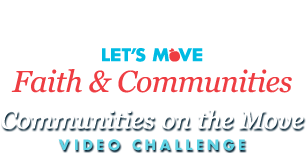 This video highlights just a few of the many ways the Martha O’Bryan Center is working to promote and execute healthy initiatives in the community. Martha O'Bryan is a bright light of Nashville! Martha O'Bryan seeks to empower people to improve their lives. I can't express how many positive contributions the Martha OBryan Center has given to the city of Nashville. We all need to support this wonderful organization. Children are being taught how to be a leader and a positive influence in the community.